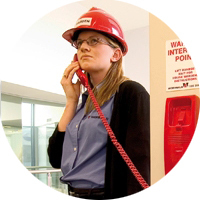 CartGIS Pty Ltd is a leading provider of Australian Standard 3745 compliant Evacuation Diagrams and Emergency Plans. Our diagrams and plans are customised to reflect your organisations needs, while still meeting AS 3745 and are designed to accurately show all regulatory requirements. CartGIS is an independent wireless communications consultant with no affiliation with any vendors or service providers. 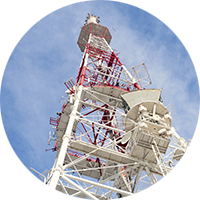 Our business is evaluating, planning, designing, and managing the implementation of reliable, cost-effective wireless voice and data communication systems. 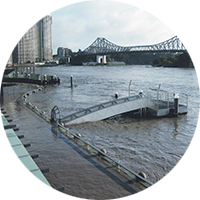 CartGIS Pty Ltd are Emergency Management innovators. We work with National, State and local government to customise an Emergency Management solution to meet the desired outcome. 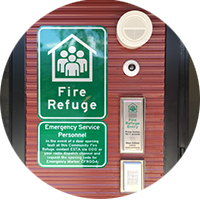 No matter it be response, relief or recovery planning, we have worked with clients around Australia to meet their needs. CartGIS can prepare customised maps in hard-copy or electronic format to meet your requirements. This may be a street map of a particular area, a thematic map showing the total number of customers per postcode, a map displaying your business locations and competitor locations, or a map presenting sales territories, Franchise boundaries or trade areas. Whatever your needs, let CartGIS put your business on the map! We are a uniquely skilled technology consultants who design and implement a wide range of integrated telecommunications systems and technologies. We are dynamic and flexible and have earned a reputation for delivering large, complex projects under challenging conditions.  We often partner with other industry experts to deliver the best possible outcome for out clients. 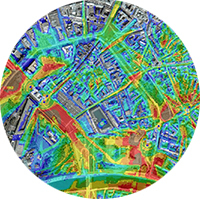 The RF Coverage Predictions generated by CartGIS combine the complex RF propagation tools with spatial data. The analysis is available for a single radio communication site or total network coverage. The process creates a terrain grid based on digital elevation data and determines the path loss in all directions from the transmitter. We use industry leading software to create an customised output for our client. CartGIS Pty Ltd is a leading consultancy services business in the Radio Communications, Emergency Management, Fire Evacuation & Cartography Industries. We were founded in 2006 in Victoria, Australia, but now working internationally. Our head office is still in Vermont, Victoria. We are industry innovators. Support Surf Life Saving Australia. 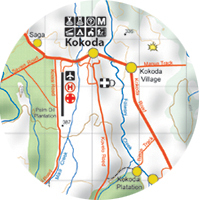 Support the Kokoda Track Foundation.